The SSO (Single Sign On) is a license management program of Orgadata. 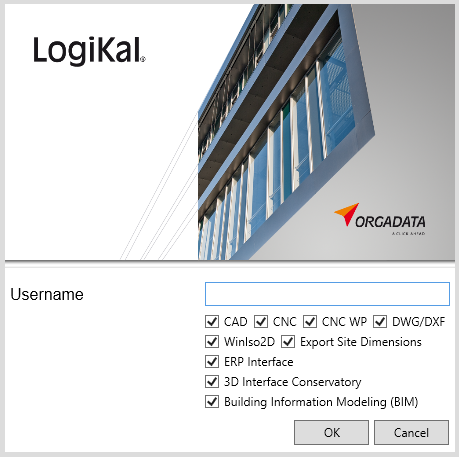 This service manages the licenses of the program modules and interfaces for CAD and ERP systems. When you log in, enter your access data and select the required modules. The SSO will automatically start with the login and reserves your licenses for the modules. 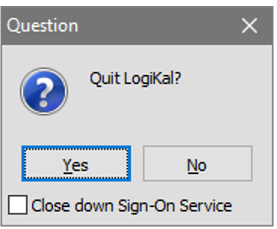 The service always runs in the background, so you do not have to login again after closing LogiKal. The separate registration for external programs as CAD and ERP systems is also no longer required and is automatically adopted by the SSO. The service remembers your module and interface selections, as long as you do not restart the computer. Maybe it will be necessary to enable licenses. Then you have to stop the SSO service manually. Therefor click in the Project Center on the File menu „Settings“ > „Logon Service“. Here you can determine how to close down the SSO. 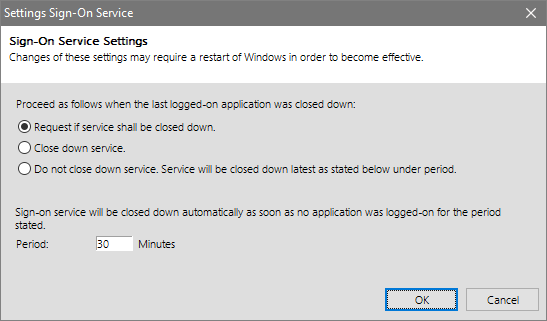 If you select the option “Request if service shall be closed down”, there will always appear a checkbox “Close down Sign-On-Service” when you quit the program. Click “Close down service“ to stop the SSO immediately. The third setting allows you to determine the period of time the Sign-on service will close down automatically as soon as no application was logged-on anymore.